I have visited Israel many times. In fact, I lived here for 6 years. However I can honestly say that today I experienced Israel like I never have before. 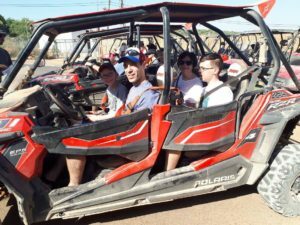 Because the trip is geared to our Bar and Bat Mitzva young adults, the itinerary has been built around what they will enjoy and inspire them. As adults, we may want to visit lots of museums. For our kids, the visits might leave them bored. Today’s itinerary was not boring, to say the least. We started out the day bright and early with a morning swim in the Kinneret (Sea of Galilee) at 6:30 am. I assumed I would be by myself at such an early hour, but 10 other participants joined me. The sun was rising over the mountains as we entered the warm water of the Kinneret. What a beautiful scene! After a traditional Israeli breakfast (for those of you who love herring, it is worth coming here for that alone), we set out for our day. 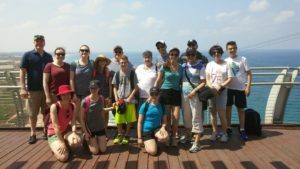 Our first stop was Rosh HaNikra. 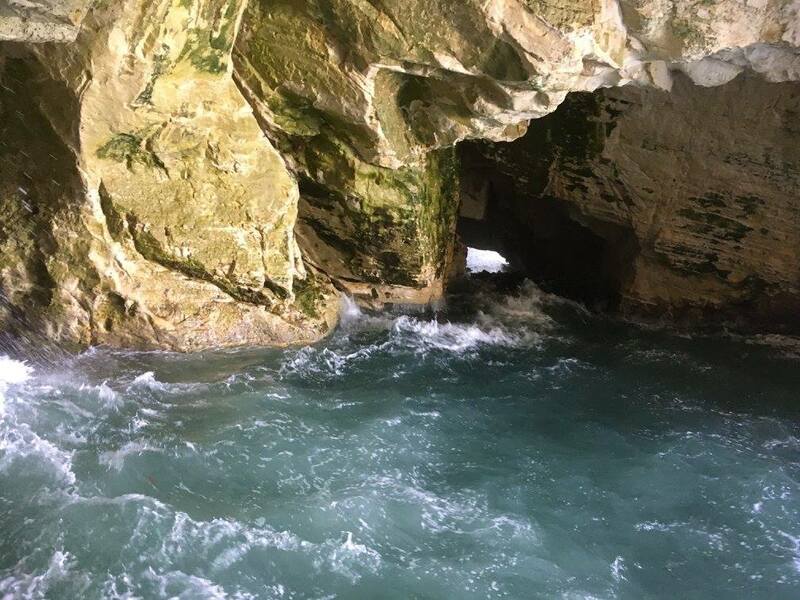 Rosh HaNikra is the Northwestern corner of Israel along the Mediterranean Sea where it borders with Lebanon. We took the cable car down to the grottos where we were splashed by the sea waves and appreciated the beautiful coastline. Of course, we had to stop and take pictures with the sign that points out that Beirut is 120 Kilometers away and Jerusalem was 220. Our next stop was the ancient and mystical city of Tzfat (Safed). 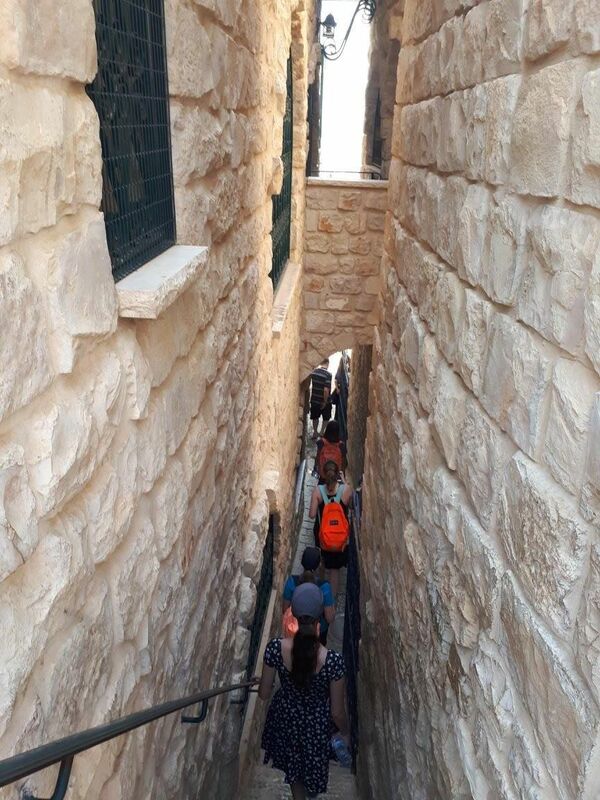 After a casual lunch, we began touring the old city. 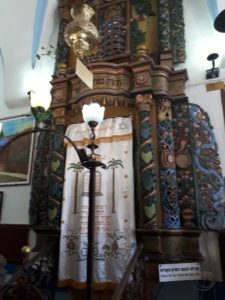 We visited the synagogue of the Arizal – Rabbi Yitzchak Luria the famous Kabbalist. We sang “Lecha Dodi” there and learned about Jewish mysticism. We then continued our tour visiting other major sites and holy locations. 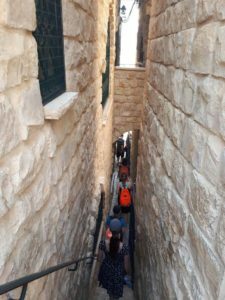 Tzfat is truly a remarkable city. 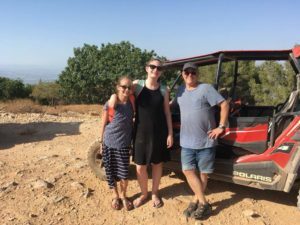 To end off our day, we went on Jeep Tour in the mountains of the Galilee. 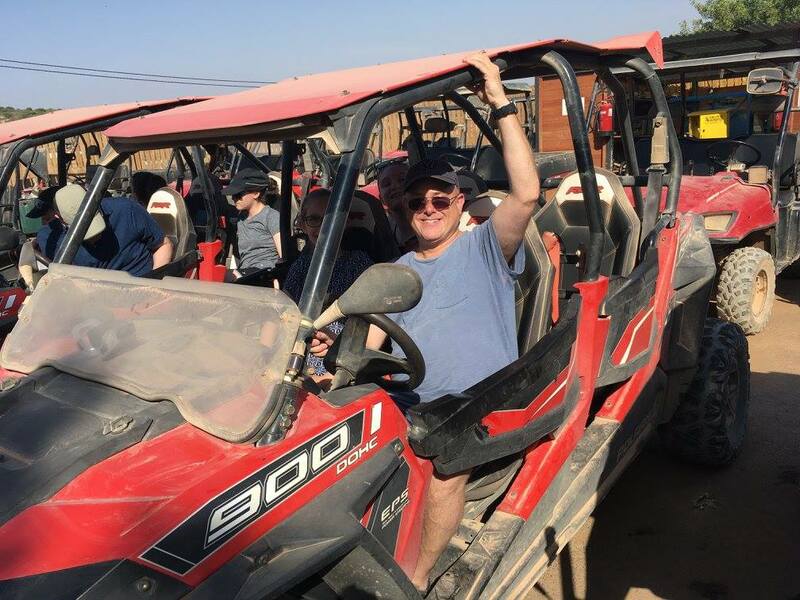 This wasn’t a trip where you hired a guide and he drove. Not for Beth Zion! 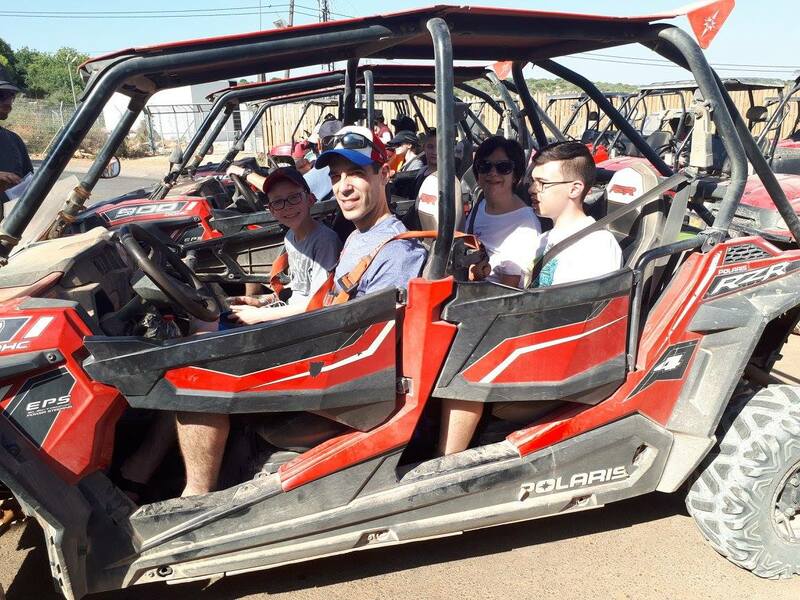 Anyone who had their drivers license on them got to drive a 4 wheel drive, open top jeep. 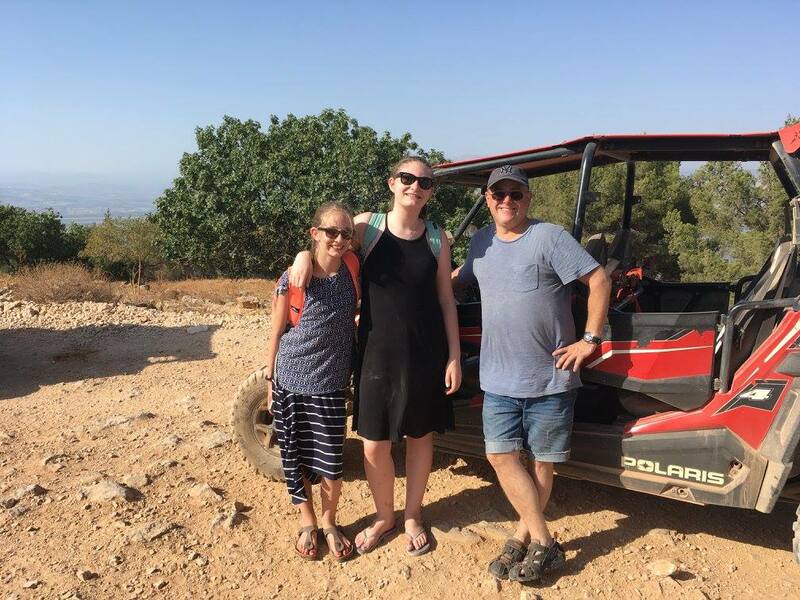 This is how Beth Zion experiences Israel. As a caravan, we followed a rather challenging path through the mountains. All along, our guide would stop and point out historic scenes from Israel’s history – the Hula Valley, the Golan Heights and other strategic military and historic landmarks. The day ended with refreshments at the hotel as we looked back over the day and planned for tomorrow. Needless to say, I am confident that everyone is sleeping after such a meaningful and exhausting day. Tomorrow, we spend some more time here in the North and then off to Yerushalayim – the most special city in the world. Laila Tov – Good Night.